Shop at Neiman Marcus for luxury fashion brands. We particularly like the Ambro Lace Peep-Toe Pump (NMF10_X0D51). Choose black striped or leopard lace. This shoe has tonal patent calf leather trim with a peep toe and concealed platform. 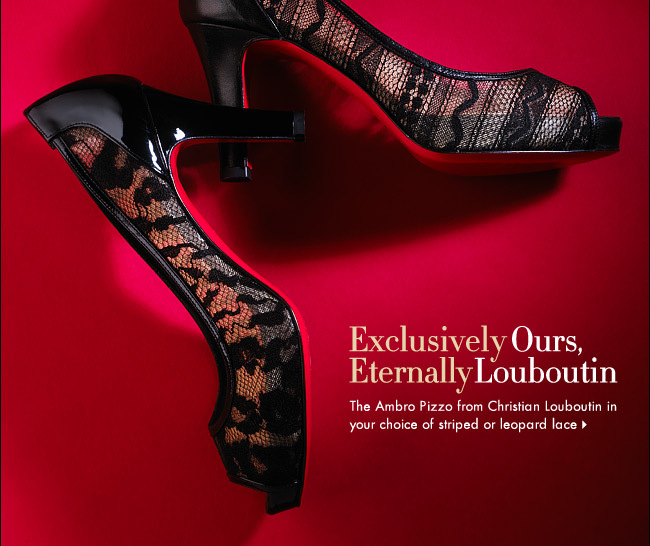 You will find several other interesting items from the Christian Louboutin collection. ◊ Learn more about luxury fashion brands.